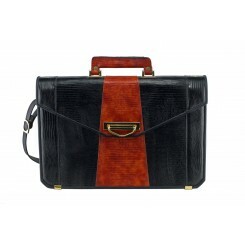 Created for a woman to carry, this award winning business case is sure to get you compliments. 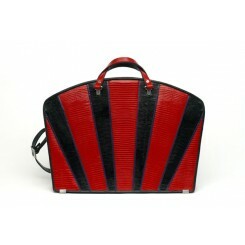 Designed to fit legal sized file folders, the Fan’s flared shape and curved zippered top make working out of it easy. Available with a customizable interior, the Fan Briefcase will hold all of your office needs.